The National Commission of Safai Karamchari had recently written to states to crack down on local authorities for their negligence in implementing the Act. 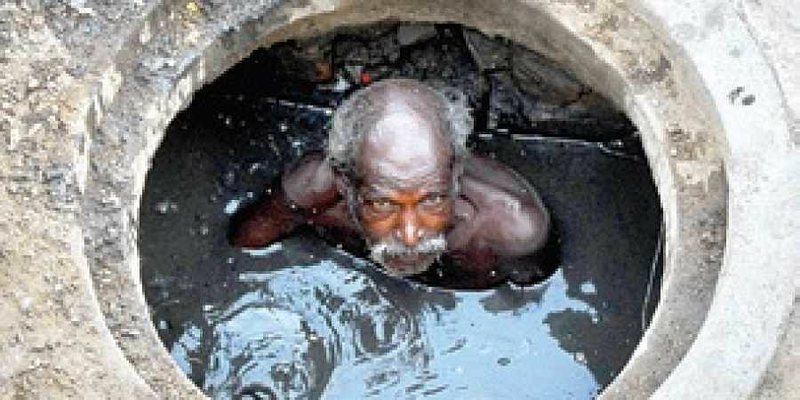 NEW DELHI: The states in coordination with local district authorities should be proactive in identifying manual scavengers, according to a recommendation of the central monitoring committee which reviews the implementation of the Prohibition of Employment as Manual Scavengers and their Rehabilitation Act. The committee’s sixth meeting, which was held on Thursday under the chairpersonship of Union social justice and empowerment minister Thaawarchand Gehlot, called for a reassessment of the survey guidelines. Currently, the National Safai Karamcharis Finance and Development Corporation (NSKFDC) is conducting a survey in 170 districts across 18 states. The survey has covered 163 districts, so far. “States should not be dependent on national surveys like the one being currently conducted. They should identify manual scavengers as a routine process. This should be done in coordination with local authorities. The recommendation is in line with the Act. The routine processes of the states are stagnant. The national survey was also to give a push to this process,” said an official. The Ministry of Labour has advised the states to carry out special inspection drives to identify and prosecute employers and contractors who are violating rules. The NSKFDC plans workshops to sensitise people and municipalities, and to stop employing manual scavengers in hazardous manual cleaning of sewers. It is in dialogue with the Ministries of Housing and Urban Affairs, and Rural Development for organising these workshops. Despite the prohibition of manual scavenging, several septic and sewer tank deaths have been reported from across states recently.